Whether you’re taking a vacation, business trip or at the gym, your sensitive skin still deserves to be pampered. 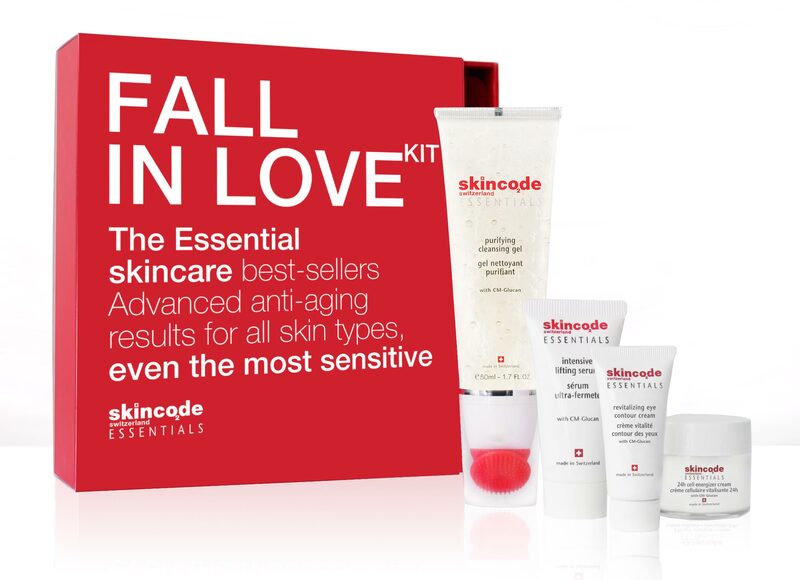 FALL IN LOVE KIT is a four-step skincare routine consisting of our travel-sized bestsellers. From cleansing and moisturizing to beautifying, the FALL IN LOVE KIT has all you need. 50 ml purifying cleansing gel with a silicone brush. New! Your skin will be happy! Perfectly clean with a matte finish. Deeply moisturized and nourished. Also, it will feel supple and comfortable. 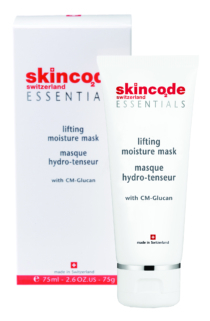 The skin surface will be refreshed, firmed and uplifted. The eye contour area will look fresher and brighter. Dark circles appearance will diminish and eye puffiness will be reduced. Purifying cleansing gel active: CM-Glucan, Nettle extract, Rosemary leaf extracts, Chamomile extracts, Calendula extract. 24h cell energizer cream: CM-Glucan, Rice starch, Vitamin C & E.
Intensive lifting serum: CM-Glucan, Aloe vera extract, Vitamin A, C & E, Hyaluronic acid. Revitalizing eye contour cream: CM-Glucan, Caffeine, Horse chestnut seed extract, Botanical lightening blend. Formulation: Color free, fragrance free, preservative free, animal-derived ingredients free, not tested on animals. Purifying cleansing gel: Morning and night, lather up with circular motions over damp face and neck. Avoid contact with eyes. Rinse thoroughly with lukewarm water. 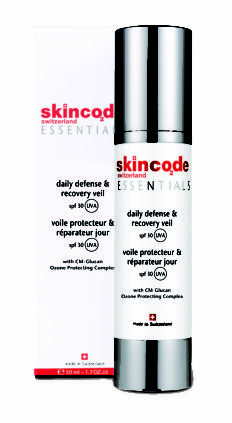 24h cell energizer cream: Morning and night, apply on the face and neck after using a Skincode serum. Avoid contact with the eyes. Intensive lifting serum: Morning and night, apply on a clean face and neck. Avoid the eye area. 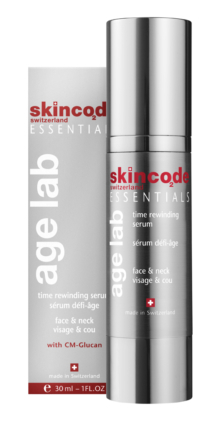 Follow with your Skincode moisturizer. Revitalizing eye contour cream: Morning and night, gently pat the skin lightly around the eyes.